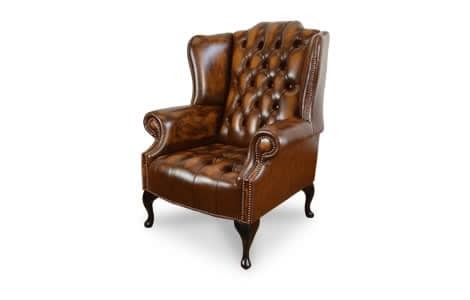 Choose the beautiful high-backed Balmoral Chesterfield Wing Chair for traditional style. Our bespoke leather pieces are handcrafted in Lancashire, England. As with all our pieces, this chair can be handmade from any of our leather options. Complete with traditional button detail and a bowed front edge to the seat, there are many styles and colours available.